Click a cover to see details and download link; click a cover from download location to return here. Palmer's 1928 SALMON RIVERS OF NEWFOUNDLAND remains popular. Much sought after, in the late 20th century, original copies were selling for as much as $500. Mobilewords Limited re-published Palmer in 2005, using most of the information, maps and pictures and added a gazetteer of rivers in Labrador which Palmer didn't fish. Now the one volume edition has been separated into 6 volumes for those interested in regions of the Island. Vol. 1 of 6 covers 17 rivers between Port aux Basques and Bay of Islands with Palmer's original sketch maps and other information, including the names of the rivers' salmon pools. Now the one volume edition has been separated into 6 volumes for those interested in regions of the Island. Vol. 2 of 6, covers 13 rivers between Bay of Islands and Strait of Belle Isle with Palmer's sketch maps and other information including the names of the rivers' salmon pools. Now the one volume edition has been separated into 6 volumes for those interested in regions of the Island. Vol. 3 of 6 covers 13 rivers in White Bay and Green Bay with Palmer's sketch maps and other information including the names of the rivers' salmon pools. Now the one volume edition has been separated into 6 volumes for those interested in regions of the Island. Vol. 4 of 6 covers 14 rivers between Notre Dame Bay and Conception Bay with Palmer's sketch maps and other information including the names of the rivers' salmon pools. Now the one volume edition has been separated into 6 volumes for those interested in regions of the Island. Vol. 6 of 6 covers 14 rivers between St. Mary's Bay and Bay d'Leau with Palmer's sketch maps and other information including the names of the rivers' salmon pools. Palmer's 1928 SALMON RIVERS OF NEWFOUNDLAND remains popular. Palmer's 83 sketch maps of the Island's rivers are all in the Atlas, hand-coloured using digital technology. 2017 is the 400th anniversary of William Vaughan's attempt to plant in Newfoundland. The Sir William Vaughan Trust collected a number of writings about this effort written by Tor Fosnaes and these are presented here in one volume. 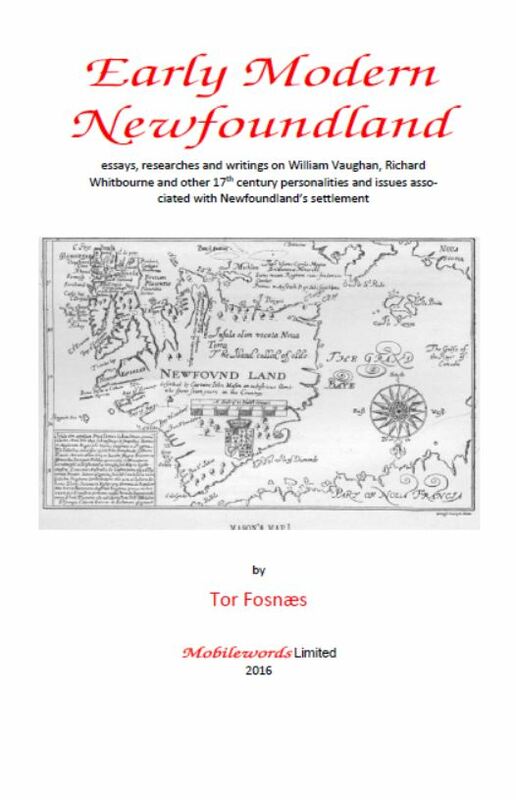 Early Modern Newfoundland is not an academic work, but rather a popular attempt to bring Vaughan and Welsh history as it influenced and determined the Island's early days. Where once they stood, we stand is a poignant lament in Cavendish Boyle's Ode to Newfoundland. The 600 communities abandoned by circumstance, plan, or entropy are listed here with basic geographic data including topographic map exerpts. A handy reference to Newfoundland's earlier life. A Century of Close Calls is a family memoir telling the seagoing stories of the author, his father and his grandfather. LUCK works on the oceans as no amount of preparation or skill can stop the inevitable if it decides to reach out and smack you down to a watery grave. Century is a seagoing memoir, a biograpy and an autobiography that spans almost the entire 20th century. Sailors' stories are always good stories and this makes a great gift for those who once went, or still do go, to sea. Paddy Power's house on Cod Seine Cove Road in Mobile, up the Southern Shore, was in my possession for nearly 20 years. Paddy Power was an interesting man, he lived to be almost 100, traded and raised horses, never fished, kept pasture animals and raised root crops and hay. After looking for pictures of Paddy Power, fruitless for nearly 15 years, some appeared and his story, what could be gleaned, is told here along with some details of the house he built in the late 1800's. Nina Marie Sinclair, my mother, deserved a family memoir. She was well-read, artistic and a lifelong birder. Her copy of the Birds of Newfoundland was heavily annotated, making her life list fairly comprehensive for a backyard birder over fifty years around Newfoundland. This monograph records her life list and provides some memories of her life. John Mason was an early settlement governor of Newfoundland associated with Vaughan, Carey, and others. He spent many years in Newfoudnland and its waters and in 1620 issued a Discourse extolling the Island for its natural history, economic potential, and as a strategic place to begin the British Empire. He promoted its settlement. This monograph presents Mason's Discourse and translates 17th century terms and names and illustrates the various natural historic and geographic bases of his work. The Island of Newfoundland has been depicted on maps and charts for 500 years. By a chance encounter, the map collection of early modern maps at the John Carter Brown Library, at Brown University, found online are available for viewing. Selected excerpts trace the Island and its names from the early 1500's to the first modern maps, based on Cook, in the late 1700's. The selected map excerpts are annotated and names listed in a form of a gazetteer. Very useful for understanding how the Island population grew and prospered and how settlement proceeded despite official sanction against living here for so many centuries. Lake Harbour, Baffin Island, now Kimmirut, was a Hudson's Bay post set up by Ralph Parsons, the famous son of Newfoundland who opened up much of the Arctic for the Company. Photographs from a personal collection taken at Lake Harbour in the early 1920's are included with transcripts of the Post logbook for the period 1920 to 1921. An intimate look at the personal lives of the Post officials and the hundreds of Inuit that worked and lived the south coast of Baffin Island. Abel Wornell was one of Newfoundland's best native poets, his love of the geography and the outdoors was unparalled. He wrote satirically about political matters and figures and wrote an epic travelogue on an early 1960's trip down North on the Northern Ranger. 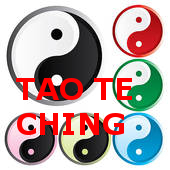 Lao Tzu and the Dao have been around for about 3000 years. Ever popular in Western translations since the late 1700's this site provides more than 60 interpretations and translations of this powerful little book, resulting from its study by the author for nearly 50 years. Presented in line by line comparison, 23 of the most important versions can be studied without recourse to opening more than one book at a time. The site has been noted and used by hundreds of people since it was established in the late 1990's. 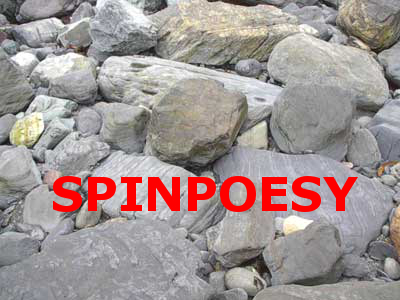 Poetry is most writers' private yearning. This online collection, still being added to, is a lifetime of dabbling. Find the old Discourses hard to read? What were they getting on about? The work puts Richard Whitbourne and William Vaughan into plain English and provides annotations and commentary to explain exactly what they were getting on about. Richard Eburne and Richard Hacklyut sections round out the review; several other Discourse literature considerations are included in the appendices. Richard Whitbourne railed against the practice of dumping ships' ballast and huge fish pressing stones into Newfoundland harbours; he wasn't the first nor the last. However, his reasons were because it filled un the harbour roads and anchorages; in modern times ballast dumping is ecologically dangerous. This work looks at the ancient and modern consequences of ballast dumping. Mobilewords Limited publishes fine Newfoundland ephemera. New manuscripts and ideas are welcome. The President, Tor Fosnaes, has as an ambition to be the best Newfoundland pamphleteer since Joey Smallwood.